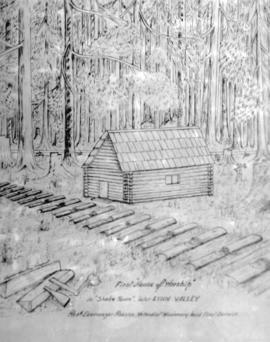 Photograph shows a sketch of a log cabin by W. MacKay L. Draycott. 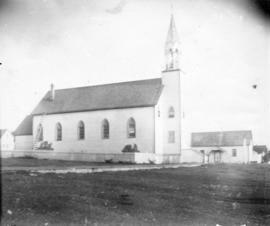 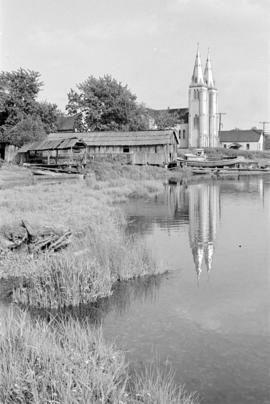 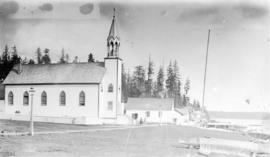 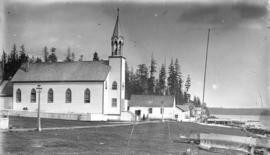 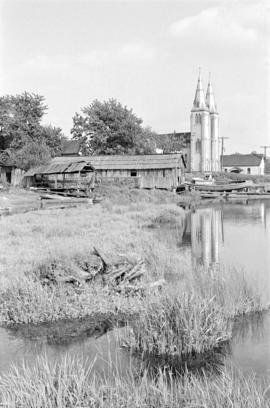 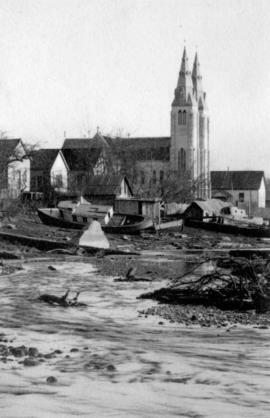 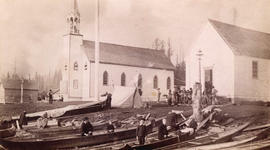 Photograph shows church, other buildings, and boats along shore. 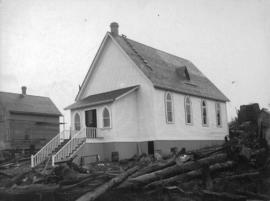 Photograph shows the exterior of church building, with logs, tree stumps, and other debris surrounding the site. 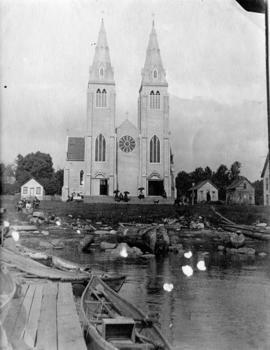 Photograph also shows a boy on the front steps of the church.